Based in Irlam close to Manchester City Centre we are able to provide a full service for the commissioning of commercial cantilever automated gates and domestic cantilever automated gates from design, manufacture and installation including all electrics and groundwork. We also design, manufacture and install swing gates for both the commercial and domestic markets. We primarily cover the Northwest of the UK including Cheshire, Lancashire, Merseyside and Greater Manchester. Our Cantilever gates and swing gates, can be fully automated and have access control systems from key fob control swipe card control, key pad control even biometric control, our control systems can also be linked to existing access control systems already on site, for example if a school has an existing control system for their doors and fire alarms etc, we can link into them so that our automated gates work alongside the existing control system. All gates and components are CE marked and are installed to comply with current legislations we also provide a full after sales service and an annual service contract. 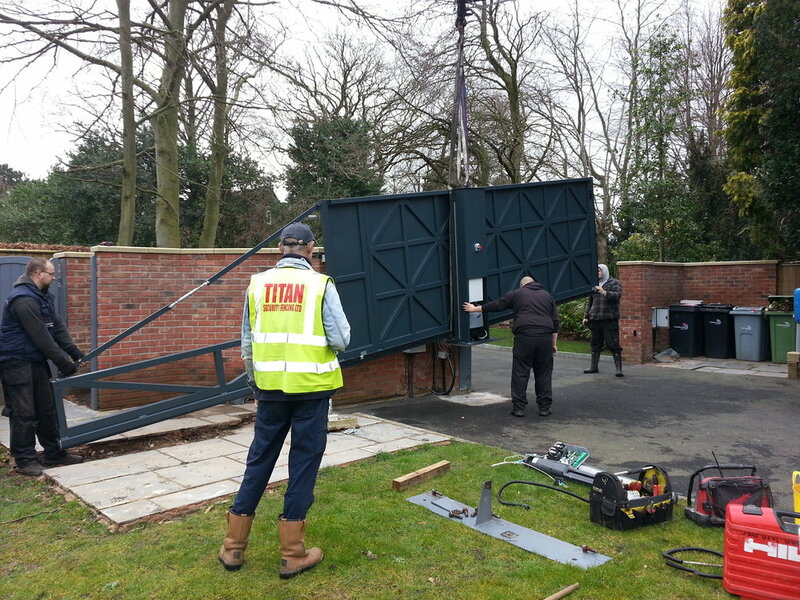 We also provide and install manual cantilever gates that require no power they just roll back and forward by hand, these are good for tight areas where a swing gates will not fit.